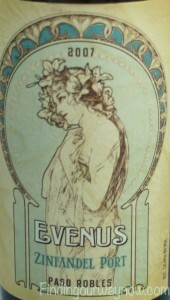 I found this Evenus Zinfandel Port Wine 2007 at Trader Joe’s and thought it would be fun to give it a try. For some reason, I have been on a dessert wine kick of late. I am a fan of a good dessert wine but only in moderation. I very much enjoy a dessert wine to add a nice finish to a meal when a traditional dessert may not be the best choice. Candlewood Cellars produces this Evenus Zinfandel Port Wine in of the Paso Robles Wine Region. 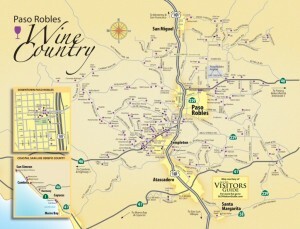 The Paso Robles Wine Region has over 26,000 vineyard acres with more than 180 amazing wineries. The Wine region produces more than 40 winegrape varieties with grape varietals from Spanish to Italian, Bordeaux to Rhône, including the area’s heritage variety Zinfandel. The styles of wine are very diverse in this distinct region. Paso Robles Wine Country is situated halfway between the two main California metropolises of Los Angeles and San Francisco. Neighboring Paso Robles along the coast are the towns of San Simeon, home to Hearst Castle, the fishing village of Morro Bay, Cambria, Harmony, and Cayucos. All are within a short drive and well worth exploring. It is part of California’s famed Central Coast. The Paso Robles wine region’s climate is perfect for the production of award-winning premium wines. A long growing season of warm days and cool evenings give rise to vibrantly ripened fruit with dynamic flavor profiles that translate beautifully into some great wines. “This unique dessert wine was crafted from select Paso Robles Zinfandel. This is a region known for producing some of the world’s finest expressions of the grape. Ripe, Jammy aromas of cherry and blackberry with spicy notes of anise, sage, pepper and cinnamon. Complex and fruity, full-bodied wine offers intense mocha and nutty flavors that give you a well-balanced finish. With its attractive label and fabulous flavors, Evenus Zinfandel Port Wine is one to put and keep on your go to wine list. I like to serve this wine with a mild blue cheese on a crostini with honey and walnuts. This combination makes for a very nice finish after dinner. This wine is also particularly good with a dark chocolate. When you think about it what more could you ask for, wine and chocolate. Evenus Zinfandel Port Wine can only be found at Trader Joe’s. When I went in search of where it might be located elsewhere, alas Trader Joe’s’ was it. So go grab yourself a bottle or two and take a sip. 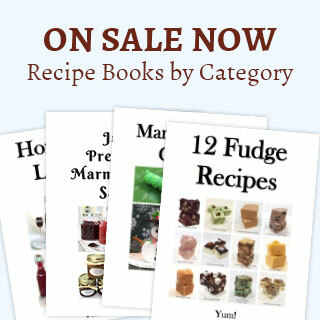 It will be something you will want to do again and again. 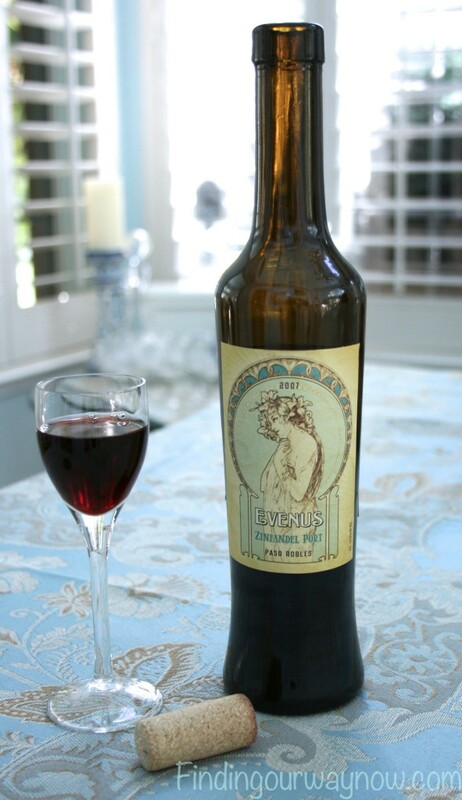 When you purchase this Evenus Zinfandel Port Wine, I would love to hear about your experience. Enjoy. If you enjoyed reading this, check out G. Chevalier Sauternes: Dessert Wine, Raspberry Dessert Wine, and Cycles Gladiator Pinot Grigio.